Things to consider when installing a glass balustrade for your home. A glass balustrade can be a beautiful addition to your home. When you’re planning one, though, there are several things you need to consider. To have a balustrade that really stands out, you’ll want to turn your staircase or balcony into a focal point of design. By bringing style and function together, you can make a statement that will draw attention but that will also provide a lot of value to the building. Once you’ve figured out where you’re going to put your new glass balustrade, you need to find the right products. Since the entire project won’t be made of glass, you’ll want to consider what other products you want to use to make your look complete. There are plastics, timbers, and metals, as well as various types of composite materials, which can make your glass balustrade something special. It’s also possible to get a frameless glass balustrade, so if that’s the look you want you can find something that will work for your design plans. If you see a balustrade you like somewhere else –make sure you get a good picture of it. Also, take pictures of the balustrades you don’t like. Keep them separate from the ones you love, but hang onto them. They will help you get a clearer picture of the kinds of things you don’t want for your balustrade, which makes choosing a design that really fits your style easier. The clearer the pictures in your head, the more comfortable you will be with conveying your thoughts as you choose a glass balustrade with Mirage Frameless Glass. We can help provide a seamless experience from start to finish, so you won’t have any problems with seeing the ideas you have come to life. Mirage Frameless Glass will work with you, making sure you get the right look at the right price. The dimensions of your balustrade and the location in your home are both highly important. They can affect the price, but they are also needed to make sure the balustrade that is created fits perfectly into the space available for it. Don’t forget to be clear on whether your balustrade will be used indoors or outdoors, so you can get the best material and understand the maintenance requirements. The more you consider as you plan your balustrade, the more likely you will be to end up happy with the result. 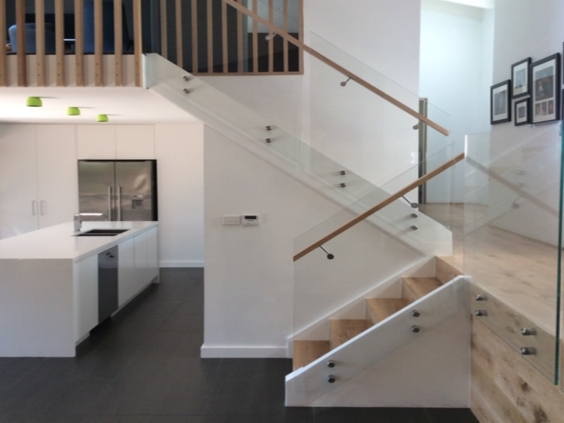 For your next glass balustrade, or frameless glass balustrade, project in Sydney contact Mirage Frameless Glass today.